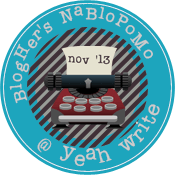 Ran across a blog, The Broke and the Bookish. I do love list and books. This week they are asking to list the ‘Top 10 Most Unique Books I’ve Ever Read’. I’ve read so many books, so it may be harder than I think to list the most unique. We’ll see……………. 1. 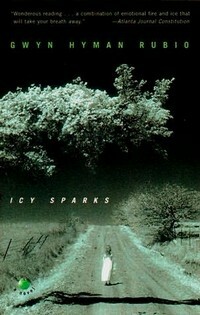 I have to say Icy Sparks is a very unique book. It’s set backwoods, Kentucky, with the story being of a little girl growing up with her grandparents and trying to deal with symptoms of Tourettes Syndrome before anyone really understood this condition. She finds herself hiding her tics from everyone and learning to be different, even once everyone in school sees her lose control. 2. 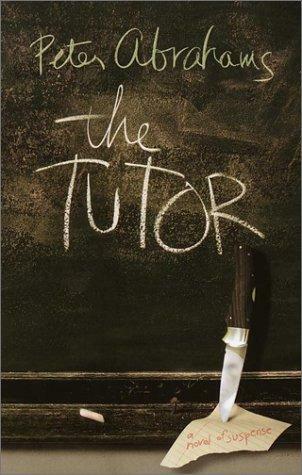 The Tutor sounds like any suspense novel. A high school boy struggling with school and good grades with the pressure of ambitious parents and a very smart younger sister. The uniqueness of the book is how ‘the tutor’ comes into their lives. He isn’t there to harm them as much as he is to study them and try to get his writer’s block to end. However, when the events aren’t going as planned, he sets off a motion of events to stir the action. From fear of not being perfect and having to pretend he’s someone else, he ends up his hold over the family and this leads to a dangerous situation. 3. Whispers and Lies is unique in a way that I can’t describe other than the author weaves a tale of a lonely, middle aged woman that tries renting her guest house out for company more than for money. She ends up becoming close to her younger, vibrant tenant. The book goes to show that nothing is ever as it seems. 4. I have always loved Judy Blume even as a child. Summer Sisters is a unique book that takes everyone back to those awkward teenage years and reminds us of that one friend we all have had at one time or another. The friend you admire and find perfect, long to be like, but the relationship is toxic because that friend is so self centered. The plot takes some very unexpected twist and the entire book has me feeling for each character. 5. 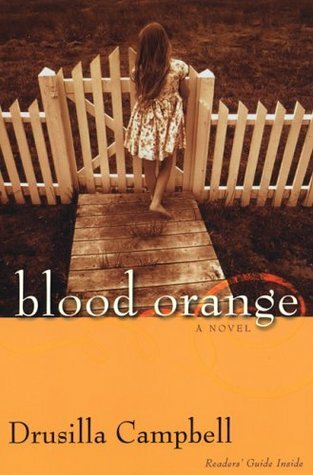 Blood Orange is a unique book. From the beginning it is filled with suspicious characters, a tragedy of a missing child, the odd friendships forged during this horrible time, and then a mother having to self reflect and face facts that some of her actions led to her child disappearing. It makes me stop and reflect on some actions that aren’t always flattering and make me feel ashamed but I have to own my mistakes and learn from them. Excellent read. 6. 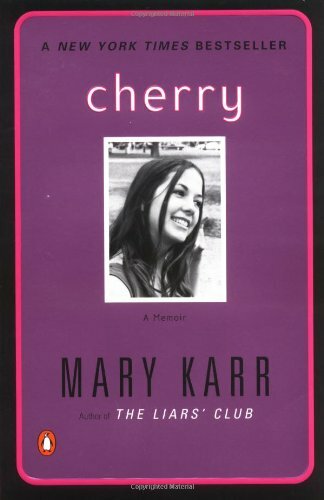 Cherry is the sequel memoir following her first memoir, The Liar’s Club. I had read it and then found Cherry. A memoir that goes through the coming of age in the days where hippies dropped acid and everyone found a peace in California. Brilliant, honest writing is what you can expect. This also led me to my favorite poetry book by Mary Karr, Viper Rum. There is another memoir, Lit, and several other poetry books that are on my ‘books to read’ list. 7. 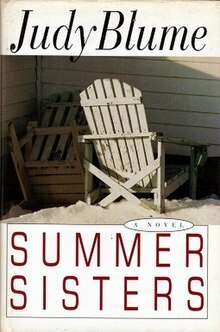 Once reading White Oleander by Janet Fitch, she immediately became a favorite of mine. I was beyond excited when I ordered her novel, Paint It Black, and it arrived in the mail. Her ability to weave a story so that the reader can relate with each character mixed with her amazing sentences, leaves me re-reading pages just for the sheer beauty of them. Paint It Black is amazing. Unique in a wonderful way. The story of a death, the grief shared by two people who hated one another and blamed one another for their loss. Just as the reader thinks the horrible sorrow will bring the two together, it spins in an entirely different direction to where one could learn to live with the other, but at the cost of her kind soul. 8. You don’t need to be a poet or even interested in poetry to enjoy Letters To A Young Poet translated from Rainer Maria Rilke. It begins a young man, really just a boy, sends one of his heartfelt poems to a poet he admired, Rainer Maria Rilke, to gather feedback. Rainer Maria Rilke responds to the man’s poem in a very honest, raw way. He admits he is not one to judge another’s sufferings or minds and so he could only tell the gentleman how the poem made him feel, which was bored. The boy responds back to this with further questions. A bond of friendship is formed as Rainer Maria Rilke helps the gentleman to understand that his poetry must come from his heart, he must want to write whether published or not, and life’s experiences would reveal how much the young man has grown through his poetry. There are so many lessons in these friendly exchanges, for both men I believe. It is a unique book and a very good read, especially for anyone striving to publish their work. 9. Glass Castle is a memoir that still holds me spellbound. That’s the whole thing about a memoir………….. the writer has to make the reader interested in their lives, their story, non-fiction. Jeannette Walls does this and so much more. To read some of the strangeness that was her childhood, which was normal to her, is sad, funny, outrageous, and shameful. To read how her siblings dealt with things and then to allow her to take us into her adulthood, and the secret she learns her mother had held onto all her life, it’s enough to make me want to cry. Beautifully written and this is a very unique story. 10. I saved my favorite book for last. This book is probably the most unique book I have ever read. It’s a book I would have glanced at the back cover, read the summary, and never touched it again, except for the fact I was laid up at my aunt’s house after having my gall bladder removed. This was the only book she had in the guest room and boredom overtook me. From the first sentence of the book, I was consumed with this family, their story, the characters, and how Anne Tyler takes a sentence and turns it into magic. This book’s character, Ian, struggles with a secret that he feels guilty about. He turns to an odd church in search for atonement. The book touches on feelings of humans and their guilt they carry, praying to their God for redemption, and not feeling the burden lifted. You hear the stories of how the hugest sinners turn to God and find peace within from all their sins. In this book, Ian is wondering when. When will he finally feel forgiven? It is a wonderful book and parts of it made me laugh until I had tears in my eyes. Other parts made me feel so sad and wish the book had taken a different turn. That’s why it’s my favorite book. 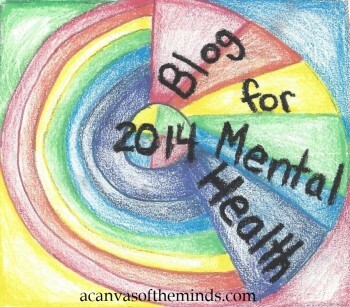 Thank you all at The Broke and the Bookish for allowing me to link up with you!! !